Huazhong Agricultural University (HAU), originating form the late 19th century, is a national key university of “211 project” directly administrated by the Ministry of Education of China. It is an academic hall with agelong recollections as well as novelty, a humanistic world with historical charm as well as modernity. The campus locating at Lion Hill Wuhan City covers an area of 494 hectares. You can fully enjoy the pleasure of study in the tranquil and picturesque surroundings of hills and waterscapes, twitter of birds and fragrance of flowers. The university boasts many famous teachers and outstanding students, possesses all sorts of daily facilities and excellent teaching conditions. 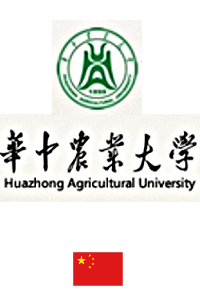 Prominent for agriculture and characterized by life sciences, Huazhong Agricultural University is making great strides towards distinctive research university with overall level of national top-rank, preponderant disciplines of advanced world level.